As parents and students begin to obsess over admissions decisions here’s some perspective (that I have posted before). It is harder to get a job at Wal-Mart in Washington, DC. 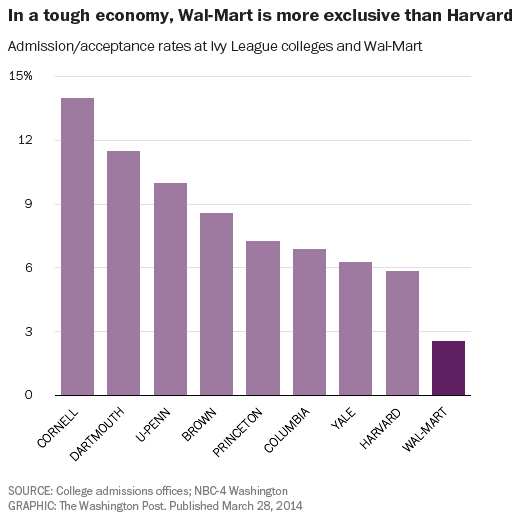 Wegman’s in Pennsylvania boasted an acceptance rate of 5% in 2014. And Google only has room for one half of one percent of its job applicants. How well do traditional college admissions criteria reflect creativity?